We are glad to see you at AllTrainersPC.com! 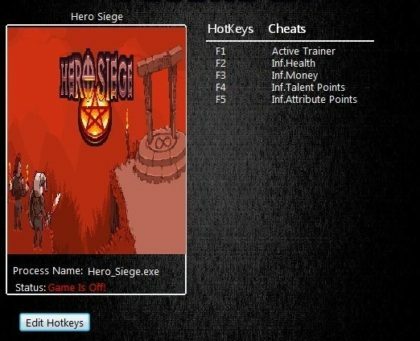 If you want to download Hero Siege Trainer for free, you can do it right on this page! This cheat works on the game version 2.5.3.2 and above. Trainer includes 5 useful functions, using which you can get a big advantage in the game. 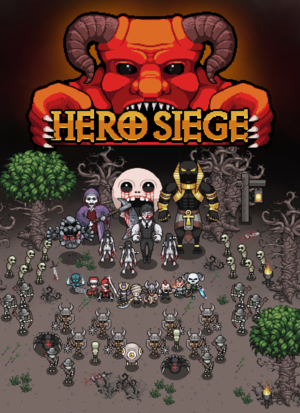 Hero Siege is a Hack ‘n’ Slash game with roguelike- & RPG elements. Annihilate hordes of enemies, grow your talent tree, grind better loot and explore up to 7 Acts enhanced with beautiful Pixel Art graphics!